951 Cleanout will be on Friday, December 13, 2013. Please have your projects out of 951 Boylston Street by 10:30 pm on Thursday, December 12, 2013. 320 Newbury St Cleanout will be on Thursday, December 19, 2013. Please remove your cherished projects from the 320 Newbury St building, and clean out your 320 Newbury St basement locker by 10:30 pm on Wednesday, December 18, 2013. 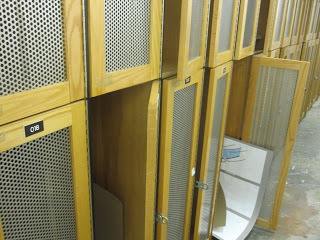 100 Mass Ave lockers on the fourth and fifth floors need to be cleaned out and empty by Wednesday December 18, 2013.